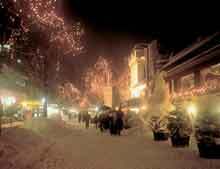 Seefeld is a great year-round holiday destination. It has a good snow record and most of the slopes have snowmaking facilities. In terms of Alpine skiing and boarding, there is a 23km ski field a bus ride away, that mostly caters to beginners and lower intermediates. Seefeld offers an efficient ski school and kids are well looked after. There are a few challenges for experts off the Rosshutte, but they can also head for the Stubai or Zugspitz glaciers and any of the other Tyrolean resorts. Skiing and boarding aren't the main reason why people come to Seefeld. By far the biggest sport is cross-country with 200km of trails. 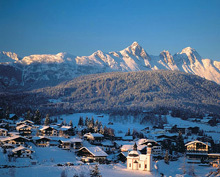 Seefeld has hosted two Winter Olympics (1964 and 1976) and the 1985 Nordic skiing World Championships. 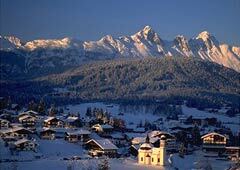 Seefeld is a very attractive, traffic-free village that generally caters to an older, upmarket crowd. This means expensive hotels and restaurants and civilised après-ski. It's a stylish place, not for those wanting late-night clubbing and hundreds of pistes to bash. 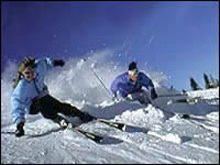 There are plenty of non-skiing pursuits to complement the idea that this is an all-round resort and not just a ski venue. If you want the full Austrian Alpine experience, Seefeld is well worth a visit. Superb for cross-country skiers. Good choice for non-skiers wanting a true winter holiday.